We’ve featured them before for their crafty and innovative bags, this time Freitag are on kickstarter running a campaign for a one-of-a-kind Zippelin inflatable travel bag. Freitag’s concept is simple, heavily relying on used truck tarps found across Europe, which are taken a part and transformed into functional, durable, water resistant bag. Every Freitag back is made of a different truck tarp which makes them totally unique and one of a kind. However the only bag these guys weren’t able to create was a large travel bag, until now. Truck tarps are naturally heavy and durable, so a large travel bag became too heavy with the materials once complete. But, a light bulb moment occurred when Freitag decided to be their innovative selves and remove the frame of the bag and replace it with air. This is beneficial not only to the weight of Freitag Zippelin, but also the size for storage as it can be folded and compressed small enough to fit in a shoe box. The Zippelin inflatable travel bag has detachable wheels, and a standard bicycle inner tube that can be simply replaced if needed. It holds 85 litres, so you will have plenty of room to fit as much as you desire. The best part about the Zippelin is its completely unique, one-of-a-kind and all made from recycled materials, something Freitag are masters in. Nothing is wasted. Freitag put together this cool video of the Zippelin, and they have our vote. 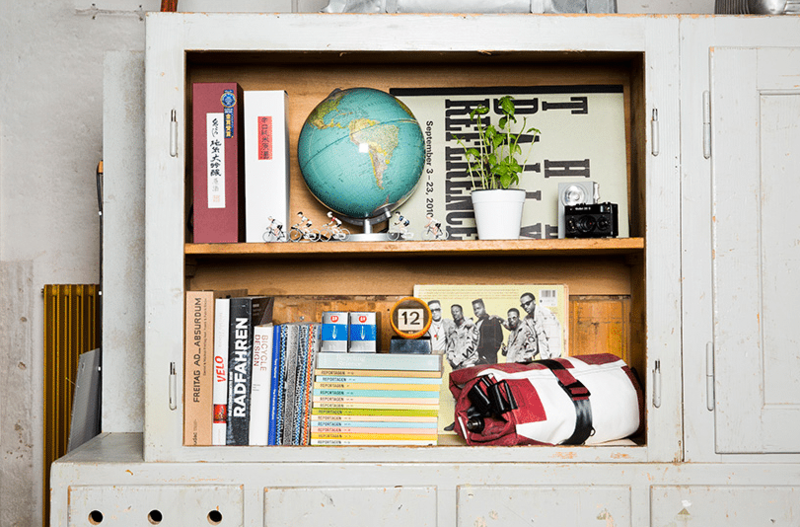 If you’d like to know more about the product and company visit Freitag online here.